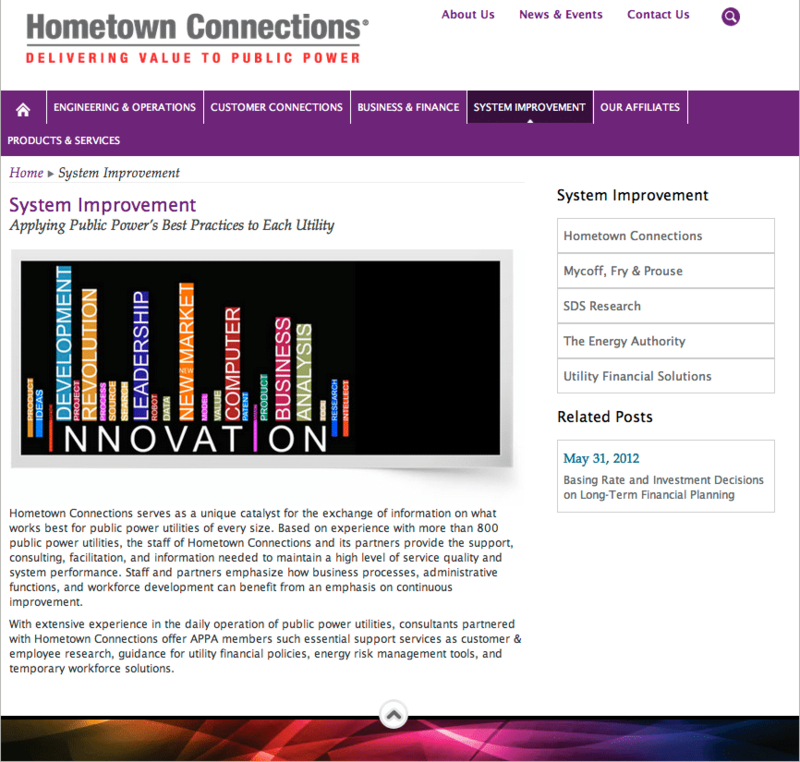 o2 Group recently launched a new website, Hometown Connections – www.hometownconnections.com. Hometown Connections is a utility services subsidiary of the American Public Power Association. They are a resource to APPA members large and small, providing discounted pricing on technology, services and other solutions from industry-leading companies. Their old website was dated, hard to navigate and difficult for staff to update. The new website has a clean look, has been completely reorganized to make it intuitive for their site visitors and can be easily updated through a highly customized implementation of WordPress. Here’s a preview of one of the internal pages – System Improvement. Visit www.hometownconnections.com to see the entire site!